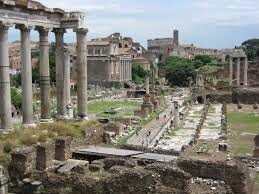 A recent New York Times article suggests that Rome is falling apart. This may come as no surprise considering similar articles have suggested the same over the past decade. It is nonetheless strange news for a city and country that are blessed with fourty-eight million tourist to its stunning countrysides, beautiful cities, and cultural treasures each year. My wife and I moved to Rome in 2009. I spent many summers in Italy as a child, but it is by living here that I realized the city is dazzling almost entirely through the preservation and promotion of its past success. This has the net effect of pushing aside the practical everyday needs of Romans. In Thomas Friedman’s much talked about book, The World is Flat, a comparison is made to cities as collaborative platforms for social and economic progress. As an IT professional, I can tell you that a technology platform’s value hinges on what it offers being fit-for-purpose and how it offers this being fit-for-use. Rome is prioritizing the preservation of storied relics over the renewal of everyday services. This makes the city a better fit for the purposes of its visitors than those of its residents. Similarly, no resident here will resist the notion that Rome is increasingly unfit-for-use. There are many complex reasons for this. A video that went viral last week may have a simple one. In it, bus driver Christian Rosso attributes the recent chaos in the city’s public transportation system to the large quantity of city buses parked in the garage awaiting maintenance. In other words, they are unfit for use and this has exhausted the patience of Rome’s visitors and residents alike. My point here is not to fuel the nytimes article and its ensuing firestorm. The fact of the matter is that Rome is one of the nicest cities you’ll ever visit. However, If the city is to become more valuable to current and future generations of tourists and residents, the mayor and his team need to propose services that satisfy the changing needs of its 21st century residents. They need to equally ensure these services work and can be relied upon throughout the year by residents and non-residents alike. Value is an atomic all or nothing proposition. Uncovering it requires the wisdom and leadership to understand purpose, as well as the knowledge and management to ensure its uninterrupted availability.